Join Lifetime’s Seatbelt Psychic, Thomas John, and New England’s own medium, Lauren Rainbow, for a very special afternoon of Messages from Spirit. 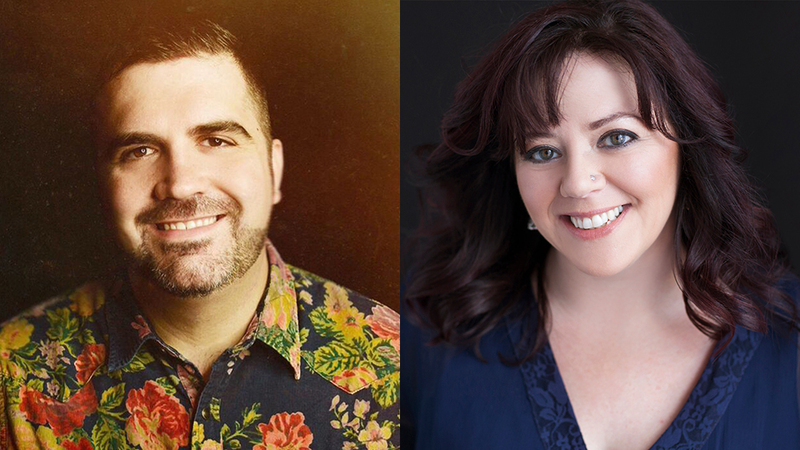 These two evidential psychic mediums will take the stage at the historic Music Hall in Portsmouth and share with you their own unique style of mediumship. From Thomas John’s incredible, jaw-dropping accuracy that has made him an international psychic sensation to Lauren Rainbow’s heart-centered evidential messages from Spirit, you will be sure to have an afternoon with Spirit you will not forget. Please note: Purchasing a ticket to this event does not guarantee you a message. Thomas John is a global psychic sensation who has impressed audiences with his accurate messages from the other side and he’s constantly in high demand with influencers and those at crossroads in life. Thomas has also been a trusted advisor to celebrities around the country, including Courteney Cox, Sara Gilbert, and Goldie Hawn. Thomas aired his first television show: Seatbelt Psychic on Lifetime (2018) & his first novel, Never Argue with a Dead Person, was published in 2015. Lauren Rainbow is a spiritual medium with two decades of mediumship, teaching, and speaking under her belt. She has been demonstrating her mediumship around North America, delivering heart-centered, evidential messages from Spirit. Her mission is to help those in Spirit connect with those here in the living and bring healing messages of love and inspiration. As a part of her work, Lauren also leads empowering and transformational journeys to sacred sites around the world including Mexico, Egypt, India, and Peru.